Social media marketing has taken the world by storm over the last several years. With millions of users, social networks like Facebook, Instagram, and others have also become a major platform for innovative marketing. One social network that doesn’t get the attention it deserves, that has a lot of potential for the right businesses to pull in leads and sales, is LinkedIn, specifically through the use of LinkedIn ads. You probably have a LinkedIn profile — 500 million people around the world do. Unlike Facebook, LinkedIn isn’t for sharing videos of the funny tricks your dog does… it’s more business-minded intended to help employers find employees, and vice-versa, introduce freelancers and clients who can work together, and foster business partnerships and deals. These are, for the most part, professional and serious people. That helps you narrow down your target for your LinkedIn in and of itself. It’s also a handy place to get the latest news and trends in any given industry. LinkedIn ads are especially powerful for companies in business-to-business, or B2B, industries like software, manufacturing, and more… as well as those companies or even individual entrepreneurs who provide services to businesses like consulting, business coaching, and more. This network is a great place for businesses to advertise their products, services, special events, conferences, webinars, and more in front of a targeted audience. Your ads get in front of people who are actually interested. One thing about LinkedIn is that it is very useful for generating leads. Unlike Facebook surfers — most LinkedIn users aren’t ready to buy right then. So you get their contact information and follow up for the sale later. That said, you can still make direct sales through LinkedIn — it could work for your niche. You can get started in setting up and getting your LinkedIn ads live in minutes. It’s an easy and painless process. Let’s be upfront here. Not every business should be advertising on LinkedIn. And if you’re not on the “list” you could waste a bunch of time, money, and effort. In general ecommerce companies that sell consumer products shouldn’t use LinkedIn ads. But if you’re in a niche that’s all about self-improvement, skill-building, enhancing professional skills, or are in a B2B industry or promote business events, it’s the perfect venue. In fact, if you’re in B2B and are not using LinkedIn you are shooting yourself in the foot. That’s because LinkedIn is built specifically for professionals and the content it offers is business-oriented. With self-service ads you set your own ad budget, write you advertising copy, and set up your own campaigns. With managed campaigns you partner with a team at LinkedIn to fine-tune your ad copy; they also help you reach more premium prospects. Both methods use LinkedIn’s Campaign Manager platform to start, monitor, and stop any LinkedIn ads you have running. You’ll be able to track clicks, impressions, conversions, and how much you’ve spent so you can quickly roll with the ads that are working and stop the ones that aren't. You can even see the demographic breakdown of who has clicked and otherwise engaged with your ads. Very important… you can set your budget. That way you limit strictly the amount you can spend on your campaigns. With LinkedIn you have a variety of ad formats to choose from. These are a great way to start with LinkedIn ads. Text ads are run through either pay-per-click or cost-per-impression and target only the right prospects. You can write your own ads and upload them easily. Most importantly, you can keep track of your costs with the ad platform manager. Text ads can be a bit challenging because of the limits to how much text you can include. So make sure to pack in as much as you can in limited space. A headline can only be 25 characters, and your description is only 75 characters. This format allows you to put your content ads on the LinkedIn homepage — specifically, you ideal prospect’s “feed,” and it is visible on any device — desktop, laptop, tablet, and smartphone — so any potential prospect can see it. These aren’t passive ads either, Sponsored Content LinkedIn ads engage with your audience and start conversations (which you should take part in)… and can even be shared viral-style. Their visual format, with photos allowed, make these LinkedIn ads especially eye-catching. You can either create fresh, new content to be sponsored or simply choose to publish your update from your LinkedIn Company Page or Showcase Page (you can edit them first). When it comes to LinkedIn ads, this is a very targeted format. Basically you can send potential prospects content directly through LinkedIn messenger. When they next log in — there’s your message (they also receive notifications if they’ve got that set up). This is an ideal way to increase registrations to webinars or live events or send super-targeted product or service ads. Basically these messages go to your ideal prospect… and that boosts response. And they can get them on a mobile device or computer. One you’re ready to create your InMail message, you pick a campaign name, as well as the sender’s first and last name and profile image. And don’t forget the subject line. You should also include an attention-grabbing summary — this will be the preview the prospect sees. Finally you should write your message — consider hiring a copywriter trained in direct response and/or B2B marketing principles to get the most response from your ads. With these displays ads you can target very specific markets. And these LinkedIn ads will appear on LinkedIn pages with high traffic, making it more likely your prospect will see them. You can buy them through open or private auction. Again, these are pretty sophisticated ads… not the best starting point if you’re just starting to use LinkedIn ads. The big benefit of these type of LinkedIn ads is that you can easily focus your ads on the key decision-makers in prospective companies. And when you write your copy and choose your call to action, they can be personalized to individuals — you can even pick images from LinkedIn member profiles. These dynamic ads are super-personalized, which makes them very effective. With all these methods, you can also target to whom these LinkedIn ads are visible. You can specific company name, industry, age, gender, LinkedIn group membership, skills, level of seniority. These are all great ways to make sure you ads get in front of the right people — decision-makers in the companies you want to do business with. The effectiveness of marketing is all about the copy in many ways. So don’t skimp on this step. Make sure your messages are simple and powerful. Your LinkedIn ads should be relevant to the industry and the people you are trying to reach. Ensure the copy, images or photos, or any other element of the LinkedIn ads are appropriate. Pay attention to targeting. 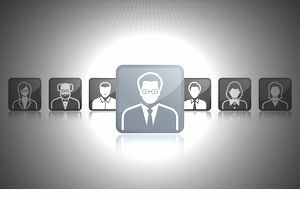 LinkedIn offers a variety of tools to make sure only the right people see your messages, based on seniority level in a company, industry, and other factors. Take advantage of those tools. With marketing not every ad will work. That’s why you test different headlines, body copy and images… even different target markets to figure out what’s working and what doesn’t. Along with that you should be monitoring closely the performance of your ads — the results of your testing — so you can quickly “roll out” ads that are bringing in leads and sales you want. Why wait? Now is the time to start putting LinkedIn ads to work for your business. Start slow, with a small budget as you learn the system and how to reach your target marketing through this social network. In fact, your very first step should be to set up a LinkedIn account (if you don’t have one) and start exploring the site. Look at all the ads that pop in your feed or in the message system. Make note of ads that you see a lot — that means they’re working and you can probably get some tips for your own efforts. At the same time you should be researching your target market. See what LinkedIn groups your prospects are involved in… what they’re talking about on their profiles. You always want to be up-to-the-minute with your marketing and this will show what your potential customer is thinking about. LinkedIn ads are easy and affordable and a perfect marketing tool for many businesses.